After 25 years of reading and collecting vampire books, I have a pretty narrow definition of what I consider 'essential' in a collection. 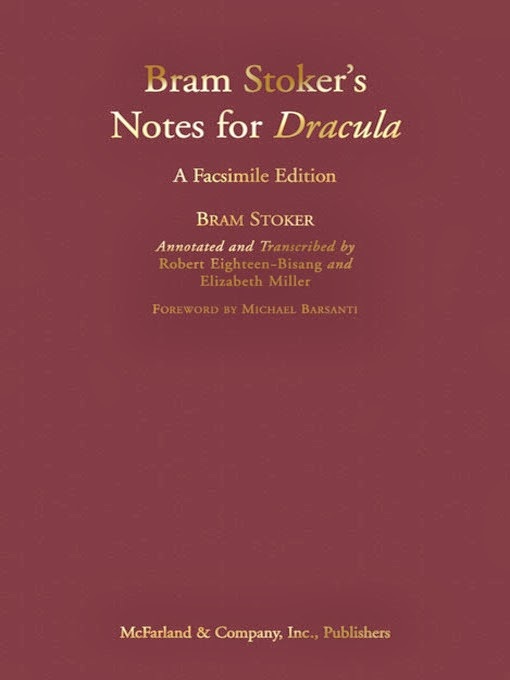 Bram Stoker's Notes for Dracula: A Facsimile Edition is one of these essential books. 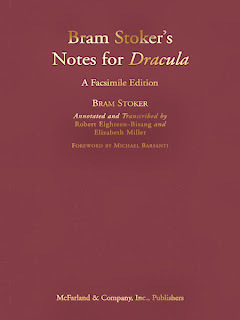 Over the past few decades there have been numerous books that analyze, discuss and annotate Dracula, but none come this close to giving you true insight into Bram Stoker's thought process as he developed the novel. Eighteen-Bisang and Miller decipher Stoker's messy and often cryptic handwriting from his original research and plot notes, presenting it alongside facsimiles of the actual notes held in a collection at the Rosenbach Museum & Library in Philadelphia. For anyone studying the novel, or simply reading it for pleasure, Notes for Dracula is a must-have companion piece. Although the handwritten notes play a big part in this book, it also includes Stoker's typewritten notes, background information on the author, and much, much more. What I found of special interest are the sections "The Novel vs. the Notes" and "The Novel We Could Have Read." I can't think of any other creature that has so deeply ingrained itself into world-wide culture. Dracula is the most famous vampire there is...and for the first time, we get a real glimpse into the creative process that brought him to light.